"Happiness is a warm puppy." This old saying proves true at the Bonhoeffer House, where Ginger waits at the door, hoping desperately that you will come to visit. Ring the doorbell and she goes wild, barking/beckoning the rest of the family to come greet you, too. Ginger can't boast a fancy breed. She came to the Bonhoeffer House through an ad on Craig's List. She dreams of biting the mail carrier. She can shake paws, but that's it on the tricks. She tends to shed. Her breath is not the freshest. But Ginger can be relied upon to welcome each and every person who steps through the door (unless you're the mail carrier). Ginger doesn't ask for much. For students away from home, missing their own dogs, Ginger is at the ready with her leash, delighted to go on walks around Grounds. She patrols the crowd during weekly Vintage lunches, on the off chance that a bite of chicken will hit the floor. She'll lie next to you as you study. Her love is uncomplicated. 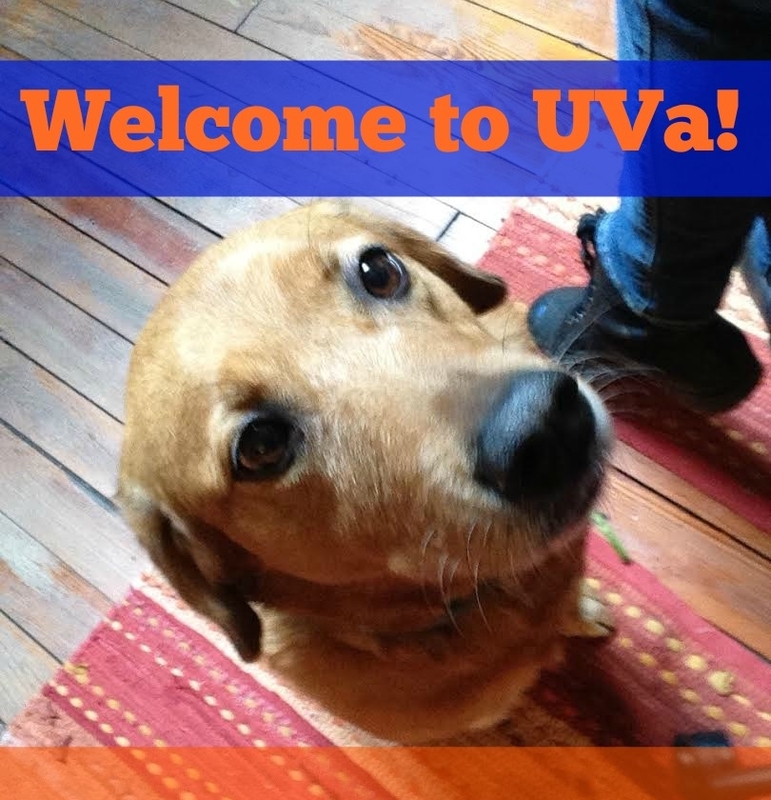 Ginger is our Theological Horizons mascot, a warm puppy of happiness. She'll be looking out for you!